Indian Internet users always have a reason to feel jealous about internet users in Hyderabad. People here enjoy the best quality internet from Beam Fiber and other private players at unbelievable prices. 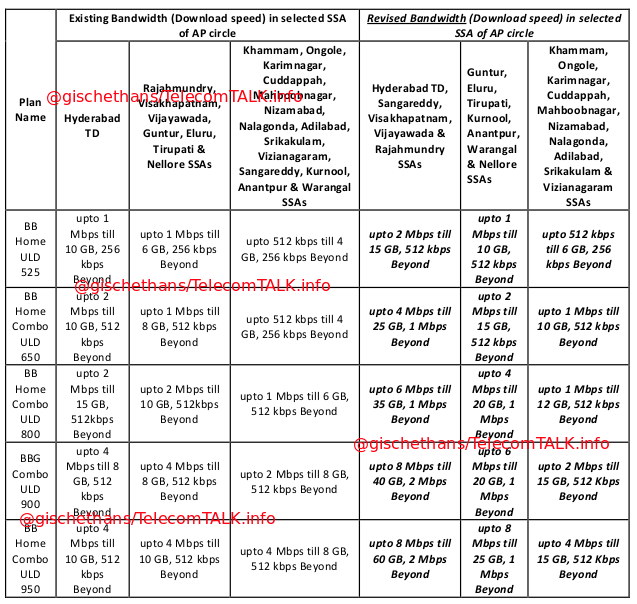 From time to time BSNL has tried to compete with Beam by offering special plans only for Hyderabad. Read BSNL Launches New 8Mbps, 16 Mbps and 24 Mbps Unlimited Broadband Plans in Hyderabad. Now it appears that BSNL is experiencing intense competition in other regions of AP as welland this move comes at a time when country is set to see Reliance Jio rolling out 4G operations. 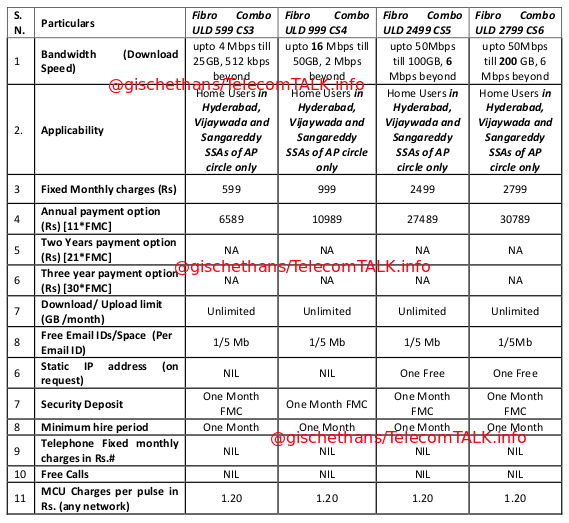 Four new FTTH plans are being introduced from 20 January 2014 for a period of 90 days on a promotional basis in Hyderabad, Vijayawada and Sangareddy SSAs. Installation charges, security deposit would be separate, and the prices shown above are exclusive of service tax which will be charged separately. Certain unlimited plans will see different levels of upgrade throughout AP Circle. Note that they are not uniform across SSAs. The upgrades will be effective from 01 February 2014. The speeds and FUP limit have been increased in all SSAs in a differential manner. What was earlier limited only to Hyderabad has been extended to Sangareddy, Vishakhapatnam, Vijayawada and Rajahmundry SSAs. While it is certainly good to see BSNL actively working towards improving and retaining its customer base, from a customer perspective (particularly those who are from low speed areas) this looks bad. 3. An additional advantage you get with BSNL is a landline phone with few free calls per month. So if you have friends and relatives on BSNL network calling them would be cheaper! Customers in other states must pray for Beam Fiber like operators if they need better service and speeds from BSNL. What say readers? Disclosure: I’m a Beam Fiber, BSNL Mobile customer in Hyderabad and use BSNL broadband in another city. Hi all, we are waiting for FTTP in Vijayanagar Colony pin code 500057. When you are going to install FTTP in our area please confirm.